We are lucky to have such a beautiful home on the Great Barrier Reef; few islands are as naturally captivating as Fitzroy Island. This is why Fitzroy Island Resort is committed to minimising our ecological impact on the environment around us. Rubbish is removed from the island while an onsite sewerage treatment plant treats all waste products. Water samples are sent weekly to an environmental clinic in Cairns to ensure we are having no impact on the environment around us; this includes monitoring our spring water intake to ensure we are not using more than our share! But Fitzroy Island Resort is taking it one step further. We actively use our influence to generate positive changes to the ecosystem; not just around the island here but all along the coast by working with select organisations that are determined to make a change for the better. To combat the fight against single-use plastic, we have partnered with ‘The Last Straw’ and removed all plastic straws from Fitzroy Island Resort, only providing paper straws as optional. We estimate that we will now save 70 000 single-use plastic straws per year! Let’s make a difference and care for our planet together. As a major sponsor for the Cairns Turtle Rehabilitation Centre we have taken action and replaced all single-use plastics from our facilities. Our coffee cups, ramekins and take away food containers are bio degradable. The General Store stocks paper bags instead of plastic. Plastic knives and forks have been replaced with bamboo cutlery which can be washed and reused by the patron. We are committed to reducing the amount of plastic consumed each year and we hope to inspire our guests to do the same. It only takes a few small changes to help keep one more turtle out of rehab! 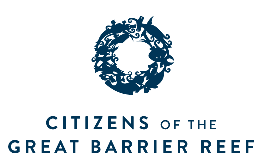 Fitzroy Island Resort has pledged to use our influence and advocacy to inspire, engage and drive real change for the Reef. We are committed to using the best practises to ensure the continued survival not only of the World-Heritage Great Barrier Reef encircling us- but of the 324 hectares of National Park surrounding us on the island itself. Fitzroy Island Resort is proud to be a major sponsor of the Cairns Turtle Rehabilitation Centre; paying thousands in lease fees each month to ensure the sick and injured sea turtles are able to recuperate in the clean water of Welcome Bay. Since coming to the island the Centre’s rehabilitation success has jumped from 30% to 85%- and we are happy to do our part in supporting this action. Turtles play an important role in the ecosystem but they only have a 1 in 1000 chance of reaching adulthood. This means that every turtle saved by the Centre has an important job to do upon release. They enhance the productivity of seagrass and reef habitats, control nutrient cycles, influence predator-prey relations and manipulate the overall diversity of the ecosystem around them. We at Fitzroy Island Resort will continue to do everything in our power to ensure such a vital creature is not lost forever. A true leader in its field- the Reef Restoration Foundation is the first organisation to actively cultivate heat resistant corals to fight coral beaching on the Great Barrier Reef. Due to the ongoing sponsorship with Fitzroy Island Resort the team has been able to grow coral from ten specially made coral trees in the waters of Fitzroy Island. Our enthusiastic staff actively volunteer their free time to monitor and maintain the coral nursery, alongside other volunteers from around Cairns. The project has been so successful that the team grafted the first heat resistant corals back on the Great Barrier Reef for the first time in August 2018! The spread of heat resistant corals simultaneously enables the reef to recover at a faster pace and increases its ability to withstand the hot summers when corals begin to get distressed. Eye on the Reef is a reef monitoring and assessment network created by GRMPA that enables our resident Marine Biologist to capture the interesting, unusual and amazing experiences people have on the Great Barrier Reef. The network has been designed to allow images to be uploaded sharing encounters with wildlife (including protected species) and special events like coral spawning. However it is also an effective tool to monitor pests like crown-of-thorns starfish, marine pollution and coral bleaching events. The simple but effective Reefcheck is a citizen science organisation program that enables regular holiday makers to contribute to the long-term protection of the Great Barrier Reef. They do this by collecting valuable information about reef health, marine animals and incidents while out snorkelling. The island’s Dive Centre has the necessary equipment that is so easy to use, its child’s-play. Our resident Marine Biologist collects the data and uploads it to the island’s account. This enables us to spot long-term trends in reef health that may otherwise have been overlooked. It’s hands-on reef research with an educational component that turns into practical conservation with the click of a keyboard.